because the championship is for everyone to join in and have fun with Frog! This category is open to all Yes 4G schools in Malaysia! This category is open to all Frog Appliance schools in Malaysia! get your frog Championship certificates today! STUDENT & SCHOOL WINNERS REVEALED! Give your subject grades a boost with Boost Sites and FrogPlay Quizzes! It’s not about how smart you are; it’s about HOW you learn and solve challenges intelligently. and we believe that intelligence is a result of learning from your mistakes and strategising how to do better next time. and to improve their grades in a fun and enjoyable way! Kickstart lessons with ready to use Boost Sites! Create the ultimate learning experience with high quality learning content from content publisher, Pelangi, through Sites mapped to the entire Malaysian education syllabus from Primary 1 - Form 5. There’s so much more you can do with the Frog VLE! Learning through Boost sites is just the starting point. With over 650,000 ready to use quiz questions to choose from, students can learn independently through gamified-learning in and out of the classroom! Enable your students' access to even more learning resources! Collaborate with teachers, students and parents to improve academic performance! 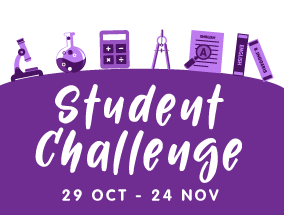 Frog Championships is a series of competitions that encourages schools to level up in teaching and learning, the 21st century way! There are 3 separate rounds that will take place across the year, culminating in a final World Challenge at FrogAsia' s Leaps of Knowledge Conference in November 2018! Your Quick Guide to Frog! Are you at the top of the Leaderboards? Log into your Frog VLE to view the current rankings of the day! The Leaderboards are updated every 24 hours to ensure your hard work is properly captured within our system!